In the past few months, we have covered plenty of awesome standing desks. 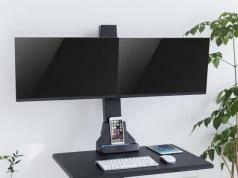 The ZestDesk happens to be quite cool though. Unlike a few other standing desks we have covered, the ZestDesk can be set up in 30 seconds to turn any type of desk into a standing desk. It is easy to carry and height-adjustable. The minimalist but sturdy design is a plus. You don’t need a tool to set up your desk. 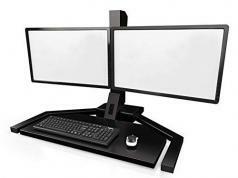 An optional monitor stand is available for folks who need to do more on their desk. ZestDesk is designed to provide you with a stable experience. When you are done with it, you can fold it into a carrying case with a handle. There is a lot to like here. 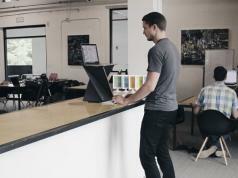 You can get your ZestDesk on Kickstarter. Previous articleMind-controlled Prosthetic Arms Coming?